The Random Pictures Thread. Only Rule: Post here more and entertain my cat. - Page 359 - Miata Turbo Forum - Boost cars, acquire cats. realism painters are like the only artists i respect. I mean he couldn't even paint an ear, let alone a scrabble board. LOL at paying huge $$$ for a print of photo-realism. Or is there some sort of double irony that I'm missing? Not until now...that's retarded. I figured his originals were huge bucks though. I buy original art when I'm moved to do so, but typically not prints of paintings, it's far too superficial at that point. Most artists with a formal education learn to draw and paint with perfect realism, then they move on to bigger and better things. There is just as much skill and a lot more creativity in the contemporary art that you dismiss. Those oil paintings, while demonstrating technical skill and patients, are total crap. They are nothing more than a study in technique. Lets put it another way. If those were photographs, they would be garbage. So why would they be fine art when copied perfectly in oil? I buy original art when I'm moved to do so, but typically not prints of paintings, it's far too superficial at that point. I went to art school. So I'll say what I want. 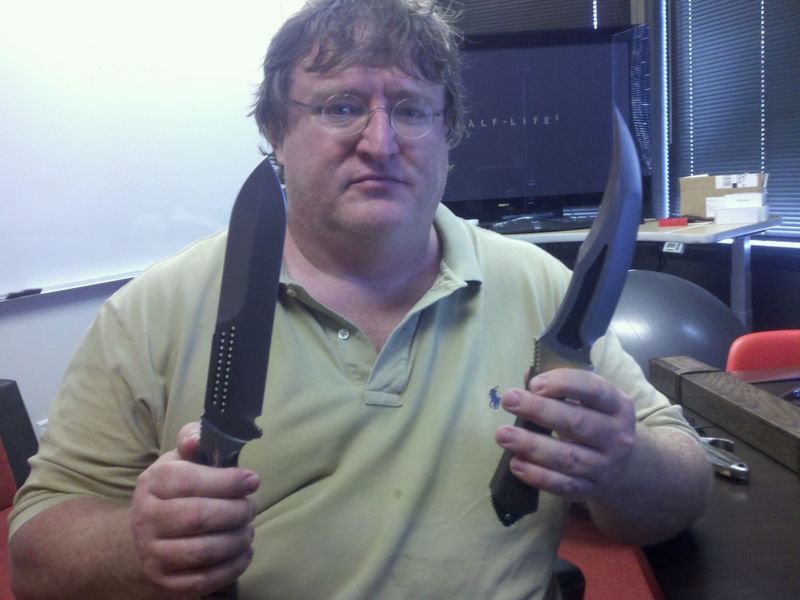 half life three in the background combined with those faggy knives means that guy's got some issues. I gots the mad welding skills! My other friend Joey in Vietnam. Last edited by turotufas; 01-14-2012 at 06:43 AM. I can fly too -------.